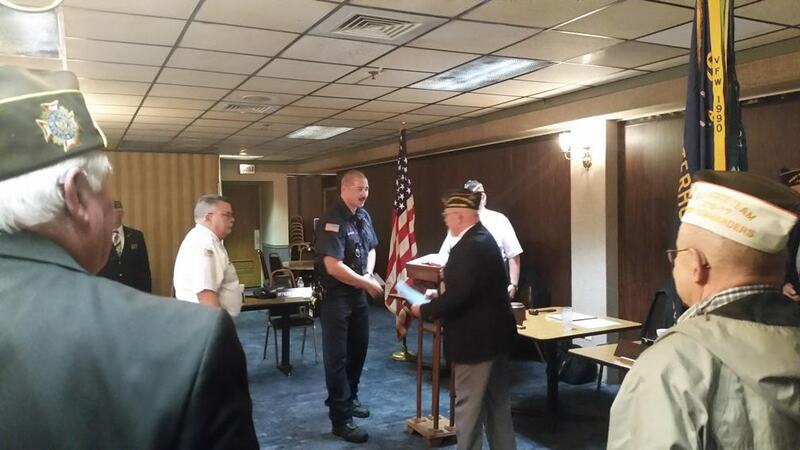 On April 20th, at the Chambersburg VFW Post 1599, Firefighter Tony E. Albright was recognized by Post Commander Tom Holden as the recipient of this year’s VFW District Firefighter of the Year. Resumes arrived from all posts within the district, and a selection committee evaluated and selected one outstanding individual from amongst a field of excellent candidates. 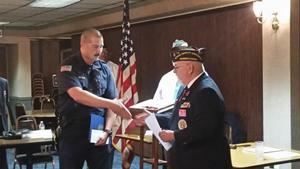 This year the honoree was a member of our CFD family. 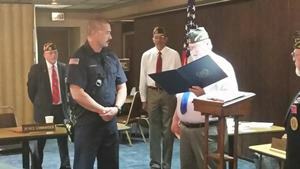 Towards the close of the ceremony, State Safety Officer Ron Smith announced that FF Albright was also the recipient of the VFW Award at the national level. 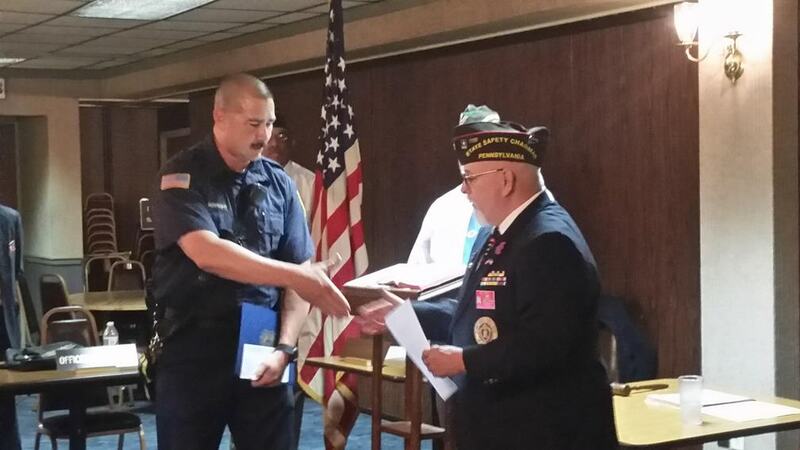 Mr. Smith represented the VFW Commander-In-Chief Brian Duffy in presenting this award. During Mr. Smith’s term of service, this was the first Firefighter “clean sweep” of the post, district, state and national awards. 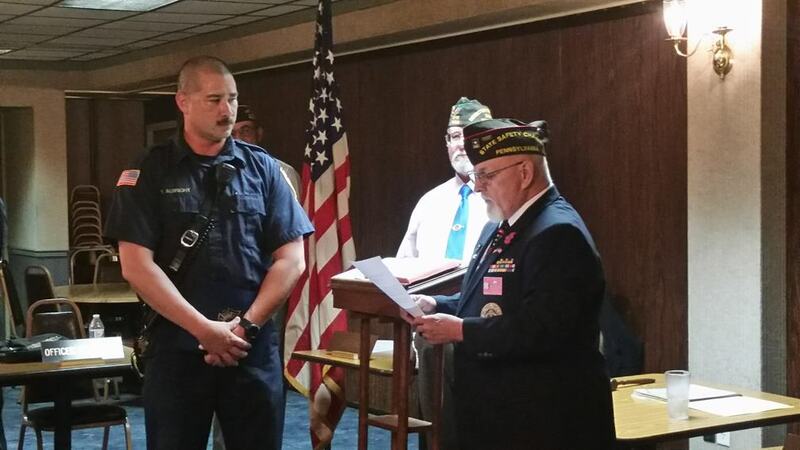 Since 2005, FF Albright continues to serve the Chambersburg Fire Department and is actively a reservist with the U.S. Army Reserve totaling more than 20 years. He is also employed part time in the Carlisle Fire Department. The Chambersburg Fire Department is very proud of FF Albright’s accomplishments both home and abroad. His service to others is a testament to his character. Thanks for your service and job well done!